Dubai is a Paradise for shoppers– verily it is. There is a massive list of the products and merchandise you should buy in Dubai. From eatery to wearables and households, everything presented here is of Top-notch quality. 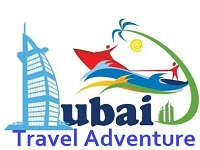 In fact, your Dubai trip would be incomplete if you DO NOT buy anything from here. There is a countless number of International brands for clothing and a vast variety of shoes that can give you a tough time while deciding best for you. Of course, the prices are high as compared to the other Middle East cities. 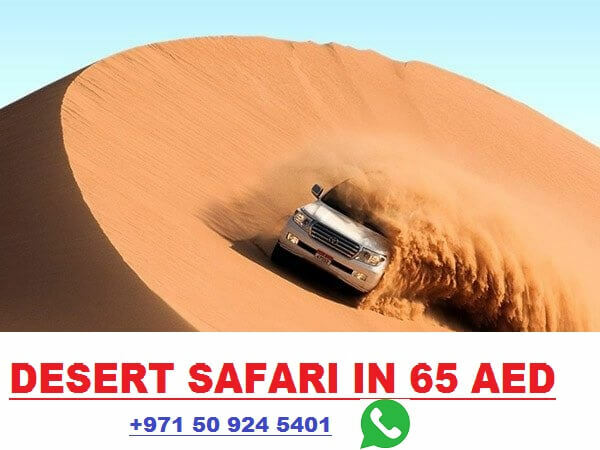 So, to take the best of Dubai memories with you, you better you’re your clothing plans and instead spend on much other cheaper, yet more impressive things. Below is a brief list of the must-consider souvenirs for you, while you visit Dubai. Dubai being the city of Gold offers you very pure quality gold and yes, cheaper as compared to the rest of world. 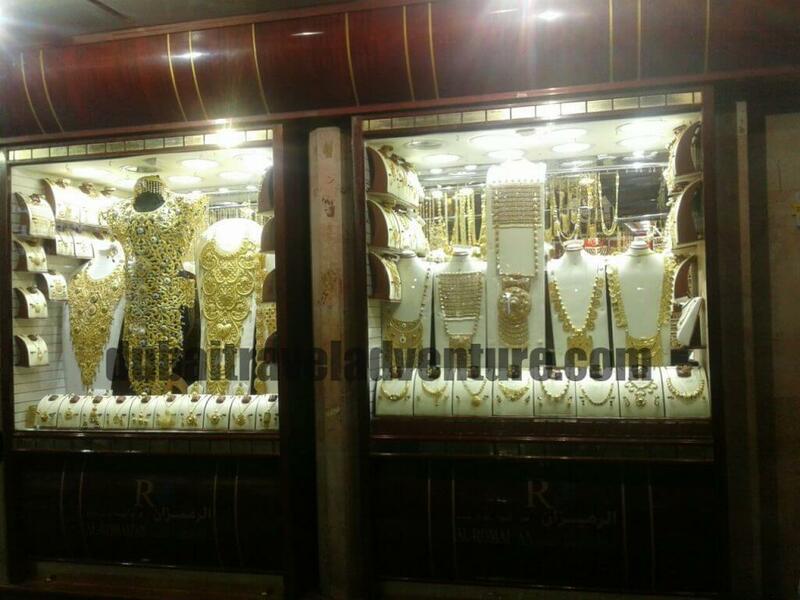 Come and explore the lanes of Dubai Gold Souk brightened with various eye-catching designs of gold. Remember, to bargain although the retailers are professional in handling the price deals with customers. Who does not like gold? Gold is perhaps the most expensive and valuable item in the world since it plays a significant role in the development of economies as well. The countries have to keep gold as the reserve to print the money, and that’s why money’s supply and demand have a very high link with gold. The Arabs and Indians are famous for wearing gold jewels, clothes, plates, lockets, rings, etc. And that’s why gold is sold in huge quantity in Dubai and other Gulf regions. The gold is expensive, and its price daily fluctuates, but its demand has never taken a negative turn. Carpets are relatively high-cost souvenirs if you want to take along. Anyways, Dubai has various shops, which offer excellent qualities of Persian rugs, as well as carpets from Kashmir city of Pakistan. There are no taxes levied on them, so the prices are entirely fair. Some of the best mats of Dubai may be found in souks near Baniyas Road in Deira. 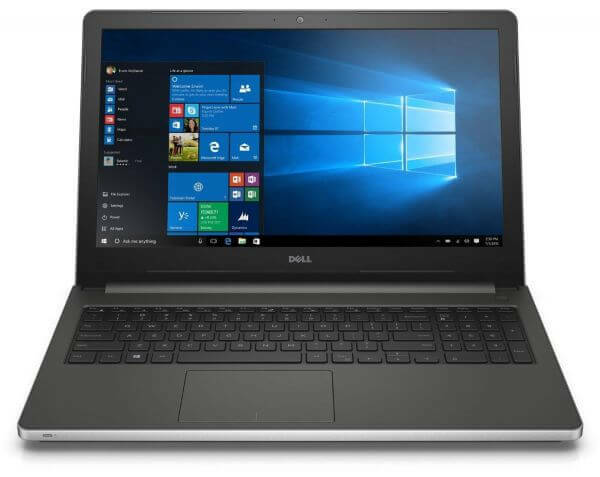 Dubai is a tax-free zone, which means that you can experience some of the amazing prices of same electronics, which will cost you higher in the rest of World. Make sure, you pre-check the Discount galas held in different seasons, to save a little more. Electronics is the, in fact, the best choice to purchase in Dubai if you are a Tech person. Almost every type of electronic is available in Dubai. The markets for electronics have a very high percentage of visitors and thus the selling and buying of electronics also strengthen the UAE’s economy and Dubai in particular. The sale of electronics has increased in the recent years because of the digital marketing and Internet era and thus every foreigner must visit the electronics markets in Dubai. The items sold in these markets have a high quality and the prices are reasonable and thus the tourist is attracted towards the electronics’ market in Deira and in shopping malls and superstores. Alternatively, you can buy online on souq.com. There is a huge variety of silver culinary items, which are characteristic and symbolic of the Arabian culture. Take some, to add to your kitchen equipment. If you are interested a little bit in perfumes and fragrances, visit Perfume Souk, to choose from the vast variety of scents and attars over there. The shopkeepers are very keen to help you decide the best for you. Give it a try, as it would remain with you even after your visit has ended. The must-buy souvenir is the Came-milk chocolate; it is chocolate with the engraving of a camel on it, with a rich taste. Try it, so that it keeps on the top of the list of most-bought souvenirs of Dubai. 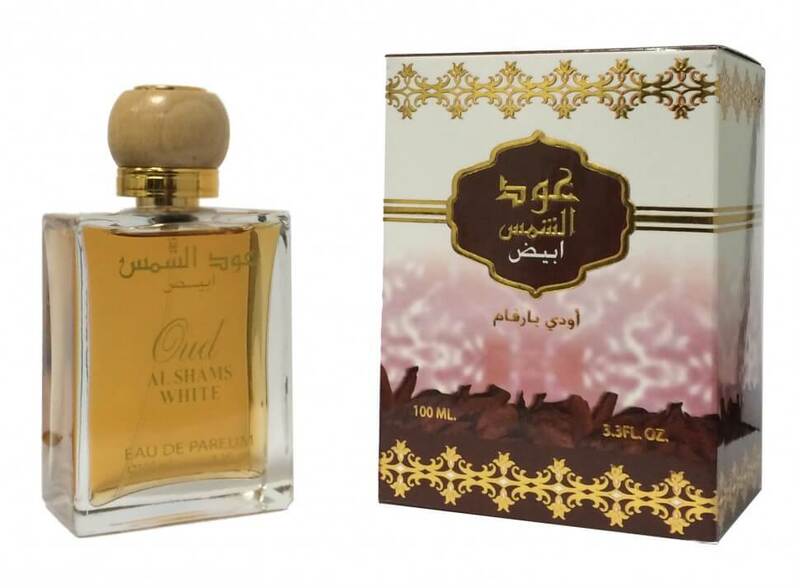 Perfumes available in Dubai have outstanding quality, and thus it is highly recommended to people that they should buy these perfumes whenever they are in Dubai, Perfumes are considered valuable gifts as well, and Dubai offers every type of fragrances which are available in the world. Who says no to chocolates? Do you? If you do, then you need to visit Dubai and have a look and taste at the chocolates. Dubai has almost all types of chocolates available in the world and visitors have a huge demand for these chocolates. Their chocolates range from Camel Milk to American, European, Australian and the list goes on. The best collection of chocolates is in Dubai like Europe, and there is not an even iota of doubt in it. The best thing about the chocolates in Dubai is that they are available at all the shopping malls, supermarkets, superstores, souks, bazaars, streets, alleys, etc. The reason for the vast availability is that tourists have a high inclination towards chocolates and thus the chocolate sellers are living a satisfactory life in Dubai due to their demand for the business and products. Some of the most beautiful and high quality dried fruits available in the world and thus visitors continue to buy these dried fruits while strolling around the city. Moreover, Arabs also have had a long tradition to include dried fruits in their lifestyles, and thus more extensive availability proves this statement. Dried fruits are not the type of food which are widely exported from Dubai by foreigners but they are sure sold in a huge variety and quantity of the Arab territories and regions, and thus Dubai sees a significant amount of dried fruits being sold every day. The exceptional quality of dried fruits in Dubai often attracts Afghan and Pakistani tourists as well because the South Asian countries also have a long history with dried fruits. The Deira Souk is widely known for the Pashmina shawls since it has many small alleys, streets, and bazaars. The material is always pure, and the quality can never be questioned. These shawls are displayed in a matriculate way which is another reason why visitors cannot refrain themselves from having a glance at these exquisite Pashmina shawls. These shawls are highly recommended if you have a visit to Dubai because they are delicate and elegant and are considered a valuable present as well. And thus people are seen in souks and bazaars buying Pashminas on a regular basis. Do women certainly stop themselves from buying purses and extravagant handbags? It’s a highly ambiguous question. And women have a very high response towards hand carries and handbags, and thus they are widely bought and sold in Dubai. The lavish handbags are designed in such a beautiful manner to attract women, and that’s Dubai has a huge market of bags where the local Arab women and foreigners are often seen in the souks, bazaars, shopping, supermarkets, superstores, etc. buying the lavish and beautiful handbags. The prices are often not very high if the handbags are not branded and thus women usually buy in large quantities. Clothes and shoes are perhaps the most widely sold items in the world. These are necessities of life as well because these two items are bought and sold throughout the year and thus they have no limited season offering. Men, women, and children have a very high inclination towards clothes and shoes and that too towards designer clothes and branded shoes. The clothes and shoe market in Dubai sees thousands of visitors every day who visit the market and buy their favorite products. The Dubai malls and supermarkets are usually filled with unlimited designer clothes and shoes and different and unique boutiques opened everywhere where ladies and gents are seen serving the customers. The quality has no match and thus the demand has never decreased. You just have to name the designer or the brand and Dubai will offer that to you. The beautiful outlets are opened throughout the year so that huge number of customers can visit them every day. The stuff has a good quality and Dubai often holds designers exhibitions on different retail outlets and shopping malls. The discounts offered at designer clothes and shoes are often very reasonable. They were widely used in the Arab voyages and wars, and thus they are still available in the Gulf regions. Arabs seem to take pride when they buy or have the daggers. It is a symbol of bravery in the Arab areas. 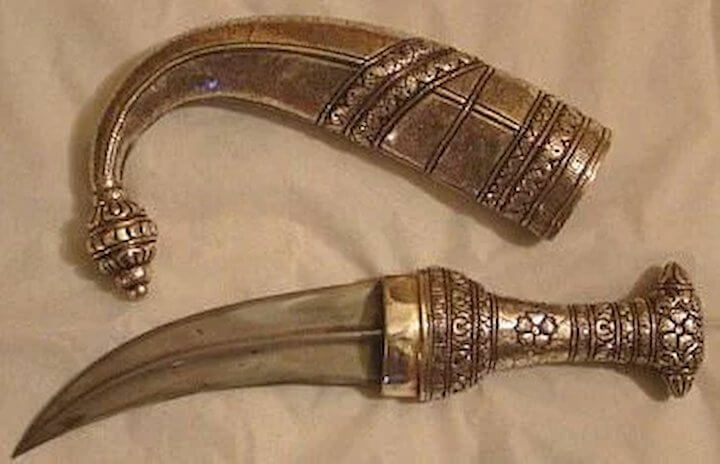 Also, Arabs attach these daggers on their holy festivals, and it is a ritual to have these daggers at home hanging on the walls. The knives are widely available in smalls bazaars in Dubai, i.e., souk, Deira, etc. These are not very expensive to buy, but some of them are made of pure gold which is costly. The tourists often purchase these daggers though not in huge chunks. The sizes of these daggers range from small to large, and thus people have plenty of options to choose from. These traditional Arabian daggers can also be given as a gift to others because of their delicate and beautiful. 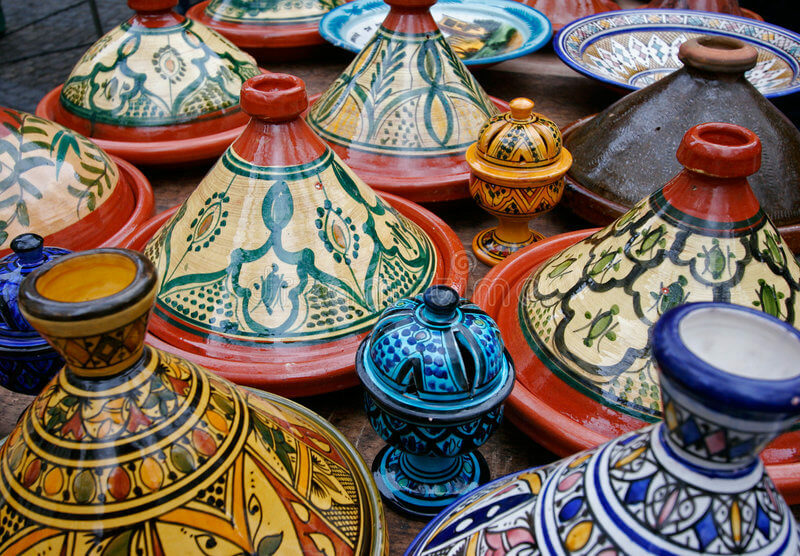 Painted ceramics are perhaps the only item in Dubai which are not bought or sold in huge quantities but still they are widely available in bazaars and souks. These are beautiful pots made of clay. They are displayed in shops and are bought by visitors who keep them in homes as decoration pieces. The different designs and paintings drawn on these ceramics attract people, and they are cheap as well so you must buy these. They are heavy since they are made up of steel or clay, and that’s why people do not buy these in large quantities. Do you’ve any other thing that you think I should list here? Why not share with me in comments?